When I was young, I remember my grandparents would make delicious cucumber salads using fresh vegetables from their garden. When I was older, my dad carried on their recipe and I’d enjoy a plate of cucumber salads during the summertime at home with his fresh ingredients from his garden. Fast forward several years later and I was reminded of cucumber salad when our aunt and uncle made a similar cucumber salad recipe during one of our vacations to a lake recently. Once we left the campgrounds and headed home, we wanted to learn how to make our own version of a summer cucumber salad to enjoy! This recipe is super simple to make and tastes great and refreshing on a hot summer day! It’s perfect to serve at your next gathering with family or friends. 2. 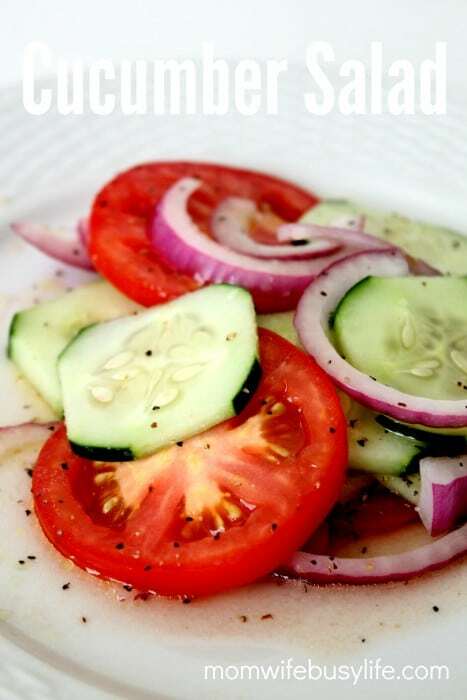 Combine cucumber, tomatoes, and onions into a serving bowl. 3. Mix all other ingredients together in a separate bowl. 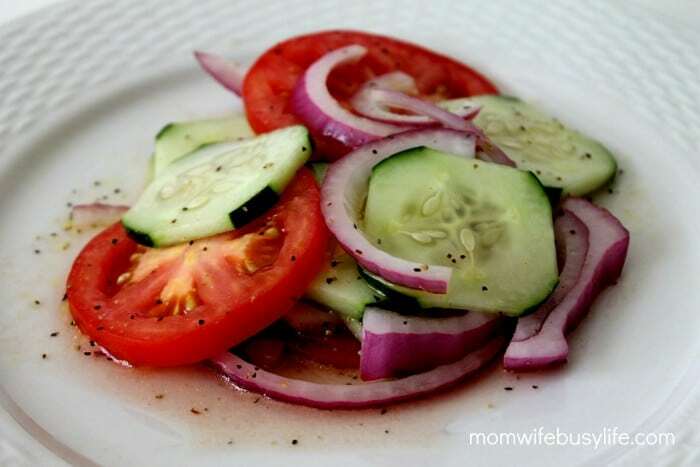 Pour the liquid mixture over the cucumber, tomatoes, and onions and toss gently. 4. Refrigerate for at least 1-2 hours before serving. Love this recipe? Find more great recipes here.